I have started this post on maybe ten different occasions now, and each time I sit down to write it I get a little stuck. I think part of it is that it’s called a “birth story” post and I honestly roll my eyes a bit when I see other people share those because I assume they’re going to be either gross and filled with graphic pictures of the actual birth. Or worse, they’re stories written by women that describe birth as the most fluffy, magical, beautiful experience and fail to mention the screaming and sweat and tears that went on during the delivery. So I guess I’ll start with the disclaimer that there are zero pictures of the actual birth in this blog post, you’re safe! 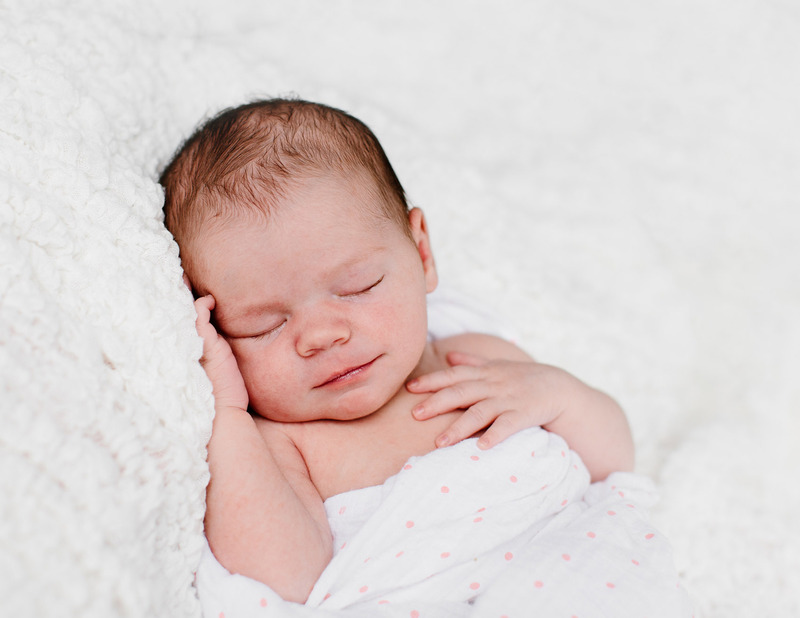 Enjoy these cute pictures from Jane’s newborn photo session instead (by Bring to Light Photography). I’ll also mention that my story is a good mix of the happy fluffy snuggly baby moments with a bit of the sweat and screaming mixed in too. Another challenge with writing this story is that it’s a long one. The story ends on Friday, January 20th at 6:00pm when I gave birth to the most scrumptious little bunny, Jane Emerson Bowler. But the story begins several days before that. I was due on January 8th, and for some reason I always had it in my mind that I’d deliver early. Several of my friends had recently had babies early, and I think I put myself in the mindset that I had to be prepared for an early delivery just in case. It turns out, that wasn’t the case at all, and I ended up delivering 12 days past my due date. The weekend before I gave birth I was getting just a little bit restless, creeping a week past my due date (you can’t hear the sarcasm in my voice guys, I was really restless). We were doing just about everything we could to stay busy – going out to dinner, seeing movies, visiting friends. I think my husband even offered to bring me to Home Goods – that’s how desperate we were getting to pass the time. On Monday night we decided to go run an errand and on the car ride I started to feel really uncomfortable. The strange thing about a first pregnancy is you have no idea what to expect, so I thought about 12 times a day my water broke, and assumed every little cramp I had was a contraction. Then you actually have contractions and your water breaks and you laugh at how silly and naïve you were 48 hours prior to think that those things were actually happening. When they happen, you’ll know! My discomfort started to increase and I felt pretty sure that what I was experiencing was a contraction, so I told Mike and we cut our errands short and drove home. 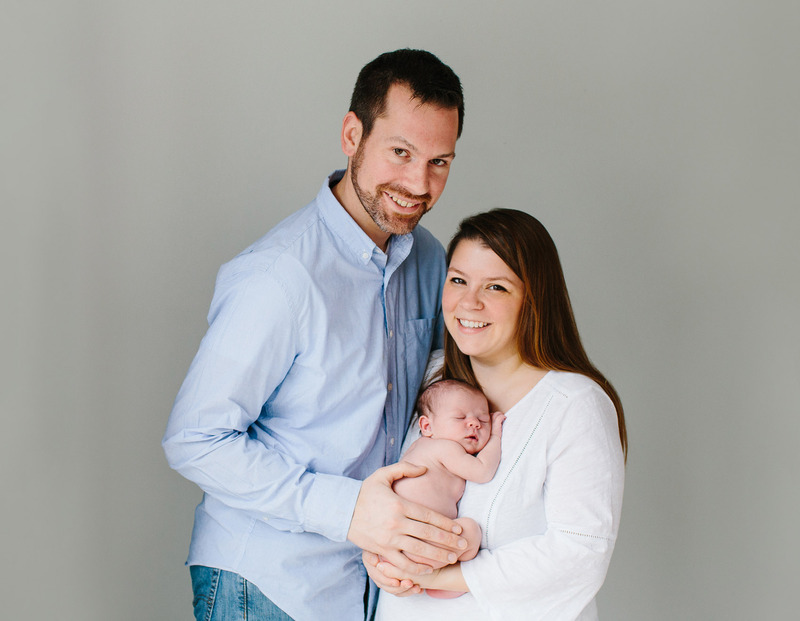 By the time we got back to our house, I was positive I was having contractions and we started to time them just like we learned about in our birthing class. They were about 20 minutes apart — too long to call the doctor — but I was feeling really excited that the process was finally starting. I was confident I’d be having the baby the next day, because I’m usually pretty efficient in most projects I take on, why would child birth be any different? (Ha!) I, understandably, slept poorly on Monday night from a combination of excitement and being woken up by a few more random contractions, all combined with my tendency at 9 months pregnant to go to the bathroom every 25 minutes. I woke up on Tuesday and tried to tackle a bit of work, but had to call in after a few hours and let them know I’d be signing off – it was too hard to focus and work with the pain of the contractions coming and going. I learned later that there is an app you can use to track your contractions (making note for future pregnancies!) but I was tracking them manually on my phone, writing down each one in a note with the length and time. They were consistent, in that they kept occurring, but inconsistent in length and distance apart. This went on for the entire day on Tuesday, which seemed to crawl on forever, and all of Tuesday night. My feelings of excitement change to frustration, as I was experiencing the pain of the contractions but not making any progress to get closer to the hospital. When Wednesday morning finally rolled around I had bit of relief. We had a pre-scheduled weekly doctor’s appointment to get to. I was excited to get to talk to a doctor and (hopefully) make a plan for getting me through this last stretch of the pregnancy. Once I got to the doctor’s office, Mike and I went in together and found out we were assigned a mid-wife for the day, not one of my usual doctors. A few days earlier the doctor I had been meeting with assured me that if I hadn’t gone into labor by this appointment, that they’d schedule me for an induction by Thursday of that week. Having that in the back of mind helped tremendously because being the control freak that I am, I needed to have some parameters in place to help me mentally prepare for how long this whole thing could go for. The mid-wife we spoke with hadn’t met with me before and wasn’t aware of my previous conversations with the doctors about an induction. As I described my previous 24 hours of contractions she told me I was having “false labor” contractions and they could go on for another 3-4 days before I went into natural labor. At this point, I burst into tears. It’s a tough choice of words to tell a woman who has been experiencing painful contractions for 24+ hours that they’re “false” – they felt very real to me! I couldn’t fathom experiencing them for 4 more days. My husband clearly saw the exhaustion and pain and hormones colliding as I started to tear up and blubber incoherently in the examination room. He jumped in to be the voice of reason. He told the mid-wife that the doctor we had previously spoken with a few days before recommended I be induced by Thursday, given the size of the baby at the last ultrasound (and the size of my petite, 4’11” body having to birth that potentially giant baby!). The mid-wife conceded that if that’s the route we wanted to go (she was pushing the natural angle) then she’d call the hospital and get us on the list for inducing the labor the next day. I breathed a sigh of relief because I had our plan (finally! ), and felt like we were one step closer to moving the labor along. They told us as we checked out that we were on the list for the hospital next day, and they’d call us when there was an open spot available for us to come in – we had to go home and wait for the call at any point the next day, from 7am until the end of the night. I crossed my fingers they’d call in the morning. We drove home from the doctor’s office and the rest of Wednesday is a blur for me. A melting together of the contractions coming in and out and my failed attempt to get bits of rest in between each one. The nurse at our appointment told us it was fine for me to take some Benadryl when I got home with the hopes it would help get me some rest, and I was able to get a few short naps in while we waited to pass the time until we would get the call on Thursday. I also took a few long, hot showers that helped eased the pain. One of my biggest anxieties about the birthing process was knowing that I wouldn’t be able to shower for some time after the birth – it’s a funny thing to obsess over but I just hate that icky feeling of not being clean, and worse, not being able to get clean after what I assumed would be a messy, sweaty experience. So the pre-hospital shower was a nice way to relax and take my mind off what was going to come the next day. If I couldn’t be freshly showered right after, I was definitely going to be before I got there! The next morning we got the call in the morning that we were on the schedule for being induced and they told us to come in around 11am to check in at the hospital. We live about 20 minutes away from our hospital and I think we were both packed and ready to go more than an hour before we had to be there. We were both so ready to get there and meet this baby! Once we got to the hospital and were in the hands of a nurse getting us set up in our room, I felt so.much.better. I think a lot of the physical pain I was feeling from the contractions had been intensified up to that point by my own panic and fear of the unknown, of the lack of control of the whole situation. Having a nurse and doctor assigned to us felt like I could let someone else take over and drive. Getting hooked up to monitors and putting IVs in was the literal form of that taking place – they were taking over all of my own tracking, and it definitely helped me rest a little easier (even if I was tangled up in cords!). Soon after getting settled in our room, getting hooked up to all sorts of monitoring contraptions, and checking in with a doctor, they decided to put me on a medication to help progress the labor. Over the next several hours Mike and I passed the time in the delivery room as a revolving door of nurses came in and out to check on my progress, deliver me more dosages of the medication, and monitor my contractions. I had a hard time taking the contractions lying down in bed, so I spent a lot of time sitting up in a side chair and popping up as each one came on to lean over on the bed or the chair. The pain was difficult at this point, but I tried to frame each one in my mind as a step closer to the end – pain was progress. One of the more difficult parts of the contractions and the pain was that I was starting to feel so weak from two days of not sleeping. In between each one I tried hard to rest, even if I couldn’t actually sleep. One of the biggest reliefs I felt was when we got a new nurse that came on shift super early into Friday morning named Kara. In stressful situations I am the queen of making awkward jokes, and I was so worried that I’d have a serious nurse that wouldn’t get me. That ended up not being the case at all; I had a nurse that had a total dose of sass and a great sense of humor (she even looked like Amy Schumer, which I felt really helped her joke-delivery). She assured me that she would get that baby out of me before her shift ended at 7pm that night because she wanted to meet her. She chatted with me about random, meaningless things to keep my mind off the pain. She gave me lots of encouragement and told me I was strong and doing a good job. As the medication started to work, the contractions got stronger and closer together, and the pain got much worse – and I was so thankful to have a nurse like her to help us through it all. At some point mid-morning a contraction came on while I was sitting in bed, and I felt a pop. My water was breaking. I laughed for a moment at all of the previous times in the weeks leading up to this when I swore my water was breaking (nope just a little pee!) – this was, as the doctors and nurses assured me, unmistakable. It felt like a giant water balloon had popped in my lap. I remembered the advice my cousin gave me about packing my hospital bag – assume the clothes you pack for the hopsital are things that can just be thrown away – you won’t want to wear them again. She was so very right (I’ll definitely be sharing a post soon about what I packed in my hospital bag!). The water breaking set things in motion a little faster and I ended up not needing to take all of the doses of medication they had anticipated, the labor was starting to progress! I was opting for an epidural so they called the anesthesiologist (I feel compelled to tell you my excitement when I just realized I spelled that right on the first try, what a nerd!) right after my water breaking. More great advice from my cousin when I was deciding on my birth plans: “don’t be a hero, get the epidural” – amen sister! The best way I can describe the epidural process is uneventful, which was pretty good news to me. It happened so quickly that I said to the anesthesiologist “is that it?” She laughed and let me know that it was all done; it had been hyped up way worse in my head. Once the epidural was in, I finally had some relief from the constant contractions that had been going on for three days at that point. The doctor instructed me to use this time to rest and regain some of my strength for when it was time to push. I blissfully drifted off into the first actual sleep I’d had in days. It will forever be the best 2-hour nap of my life. Somewhere in the late afternoon the nap ended, I couldn’t sleep through the pressure of the contractions anymore. The nurse and doctor said I’d know when it felt like it was time to push, and I absolutely knew at that moment when the pressure changed that it was time. I pushed for maybe 30 minutes with Mike and the nurse coaching me through breathing and each contraction. The next 20 minutes the nurse started to guide me to move around and push in a few different positions to get the baby to move; her heart rate was fluctuating a bit during the pushing and they hoped the different positions might help. During the end of that hour of pushing the heart rate started to drop up and down with each push, and the doctor along with a few other nurses came in to help. I’m forever grateful to our doctor that delivered Jane for being so assertive and direct with us at that point. She told us that she was concerned the baby was in distress given the changes in heart rate and suspected she may be tangled in her cord. The doctor felt continuing to push could put her at risk. 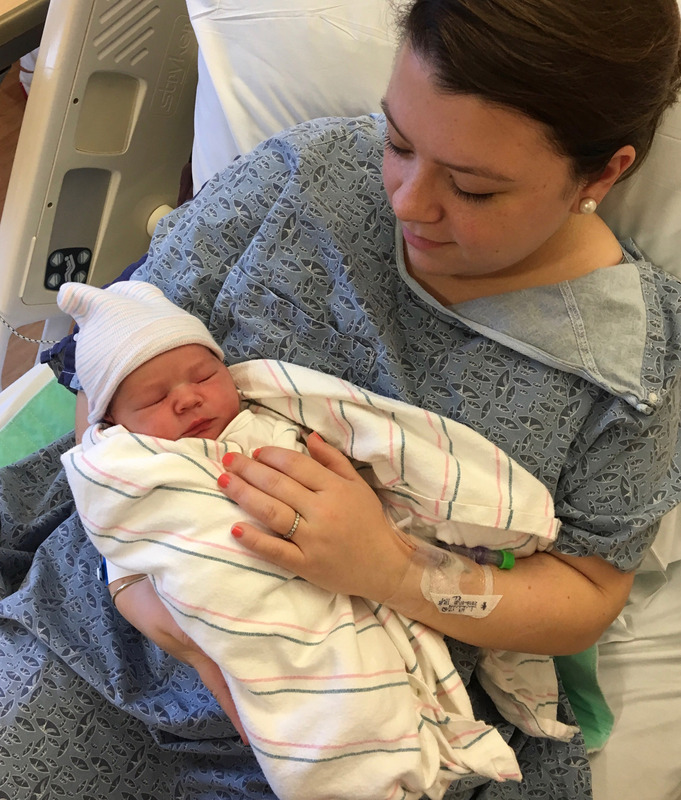 She wanted to do an emergency C-section, and she wanted to do it right away. 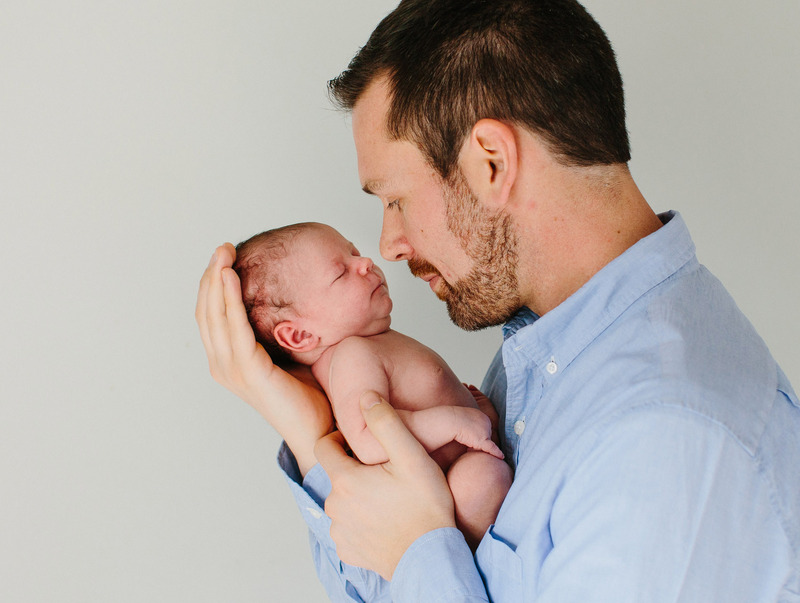 In a fog of sweat and tears and pain I think I managed to get out a labored breathing huff of “okay, yes, yes” – Mike was nearby more eloquently agreeing that we were going to do whatever was best for the baby. The speed at which everything unfolded can only be described as a whirlwind. Someone handed me a clipboard with papers to sign as they pushed my bed into the operating room; Mike was whisked off to put on scrubs. One of the doctors was incredibly kind and kept coming over to talk me through what was happening at each moment, even though I was barely following along with what he was saying, it kept me calm during the madness of nurses and doctors wheeling trays and setting up curtains and getting things quickly into place. Remember when I mentioned before that I’m the queen of making jokes in awkward situations? It’s how I deal in stressful situations, and while most of this period of the birth is a total blur to me, I do remember that one of the surgical assistants had a Patriots patterned set of scrubs on. In a haze of anesthesia, under the operating room lights, I leaned over to him and made a corny joke about how I hoped I’d be out of there in time to watch the playoffs game that weekend. I feel it’s worth mentioning that I couldn’t care less about football; I just feel the need to fill the void in conversations with dorky jokes, even while being operated on. I think he laughed, but probably not at my joke. More likely he was giggling that mid-surgery this nutty woman on the operating table still felt the need to make small talk; my chattiness knows no bounds! My only other foggy memories of the operating room were that I felt so cold (I had a fever at that point from the drugs I was on), and I remember Mike coming into the room in scrubs and telling him he looked cute – apparently I’m chatty under anesthesia and a flirt. The lights were super bright, and I felt like there were 20 people in the room running around. It was a strange out of body experience, like I was watching one of my favorite medical drama shows, and they were operating on someone else. The actual C-section happened incredibly fast, and they got Jane out safe and sound (the doctor was right, she was tangled up in her cord). A nurse grabbed Mike to walk over with her and the team checking Jane out so he could trim the cord and be with her while they closed me up. And what felt like just a minute or two later, Mike brought Jane over to me, she was all clean and bundled up and perfect. I cried gross happy tears as Mike held her near my head. As the doctors finished up with me, I finally got to hold her when we wheeled into a recovery room, and I pretty much haven’t let her go since then. The next hours and days were a blur of adrenaline, exhaustion, feedings and baby snuggles. We had amazing nurses that helped Mike and I through those first few hours of parenthood. Our family and a few friends arrived the next day to meet Jane. They brought us real food, which made me feel human again. I finally got that shower I was dreaming of after 24 hours and it felt like pure bliss. Two days later we talked to my doctor and he agreed to let us out a day early since both Jane and I were recovering really well (and Mike and I were both going stir crazy in the hospital after 4 straight days in the maternity ward). A week after those first contractions started, we got to bring Jane home. 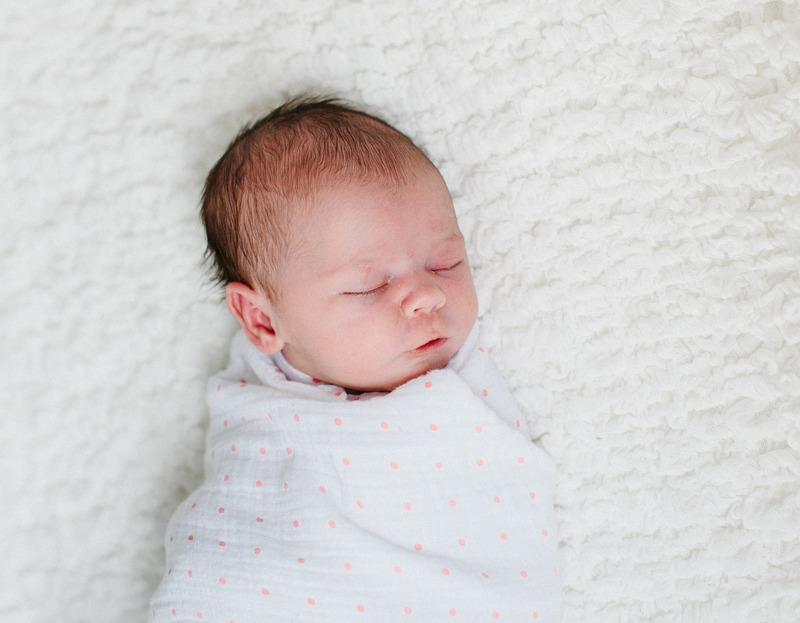 I’ve been writing this post during her naps and I keep peaking over to watch her sleep. This seems to be the challenge with getting anything done these days. When she’s napping and I should be working, but I just want to stare at her and watch her little face. It feels like it’s been a lifetime since she was born, because it’s almost hard to imagine what it was like before she was here. My super talented friend Taz of Bring to Light Photography took all of the photos featured in this post. 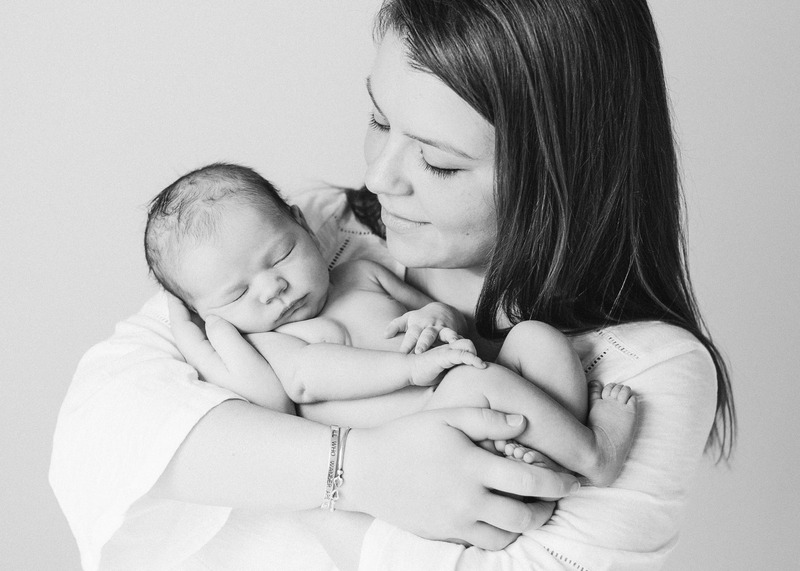 If you’re local to the Boston-area and need newborn photos taken, she is the absolute best; both a certified baby whisperer and an incredibly skilled photographer! I have printed just about every single one out and have them framed all around the house – I’m bordering on shrine-level obsessed with how they came out! Sausage and Tortellini Soup. Boston Girl Bosses. 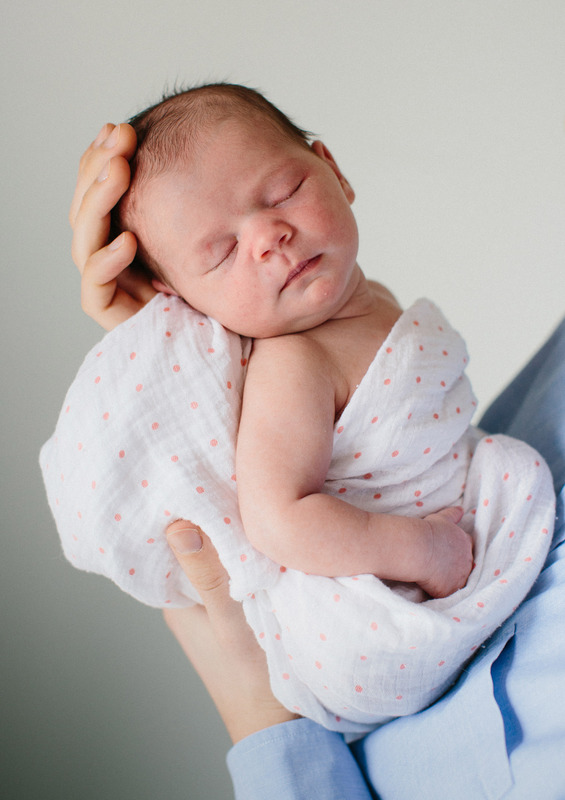 14 Responses to "Jane’s Birth Story." 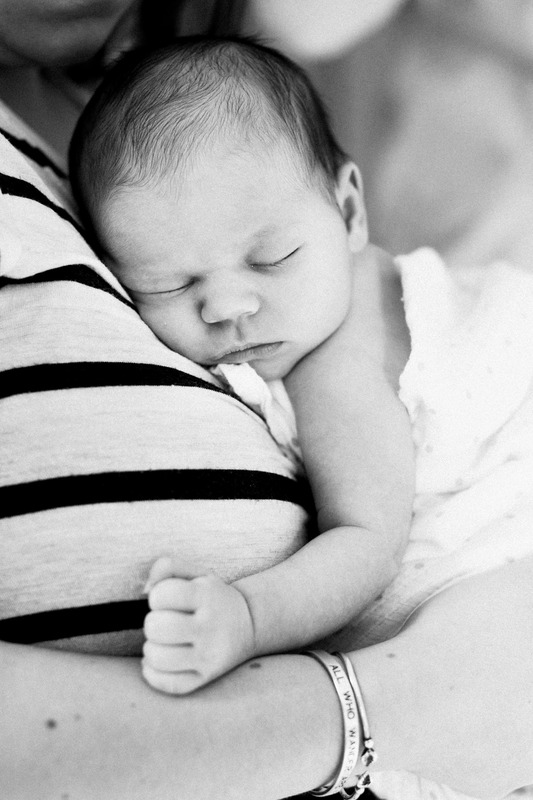 What a lovely story to welcome Jane to the world and the pics are beautiful! ❤️ I especially love the 3rd one – so special! Well I just teared up a half dozen times. What a wonderful piece, full of humor, poignant moments and your one of a kind voice. Congratulations!! She is beautiful. This story helped me so much. I give birth for the first time in a few days. I was just wondering where your shirt was from in your newborn shoot? It’s perfect! I’ve been looking for a similar one. Thank you! Your story made me cry with joy for you and I don’t even know you! Birth really is a miracle and being a Mom the most special time in life. Jane is just beautiful, and I wish you a great lifetime of love with her…it’s quite a ride! I live in Scituate too, where my daughter and her family live. One lucky grandma here! All the best to you and your little family. Thank you so much for reading! Love that you’re a fellow Scituate resident! I polled every single woman I knew about their childbirth stories. I figured if I knew every possible thing that could happen I’d know what to expect for myself. and then it all goes out the window. Jane is lovely and I’m so glad she’s here and these photos are beautiful. What a lovely story… so excited for you… all that effort so worth the outcome. She’s beautiful – I especially love the b/w of you and Jane!